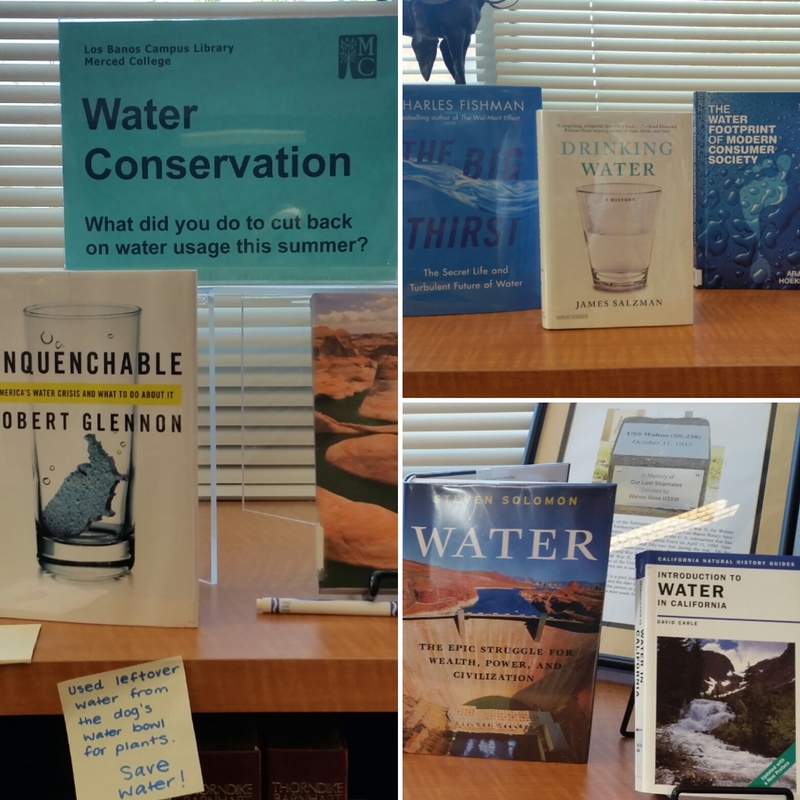 This isn’t anything mind blowing as far as libraries go, but I really believe in the power of displays in showcasing not only resources but also getting library users to discover a new topic or idea they might not think up on their own. 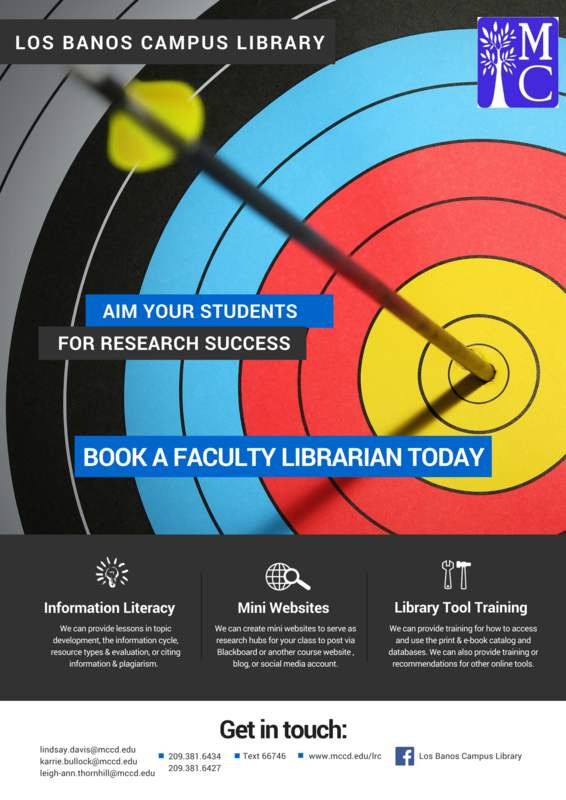 My library is two thousand square feet, and our campus serves about 1800 students. 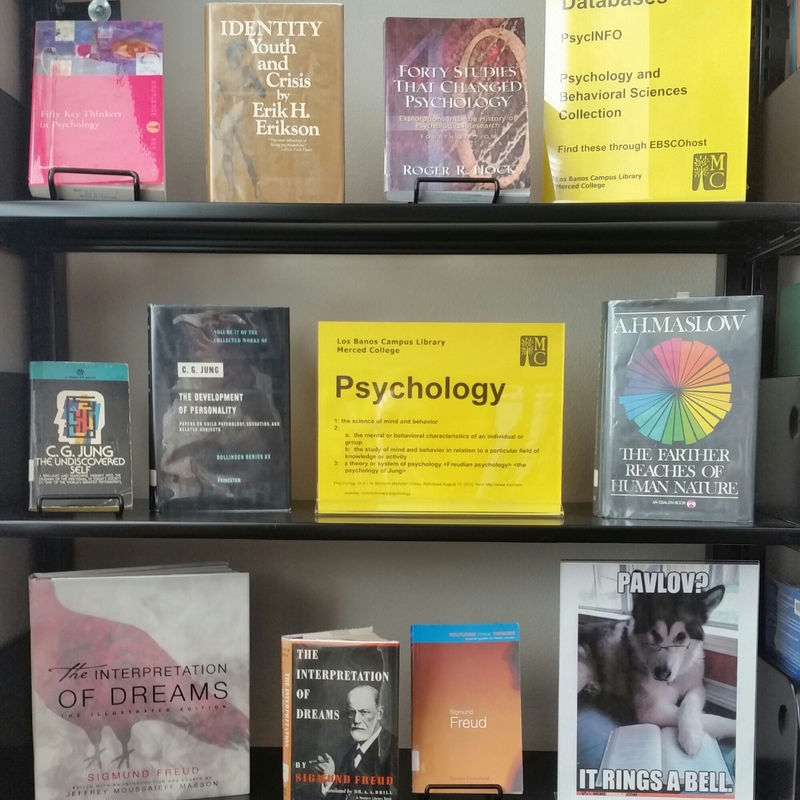 We don’t have a lot of space for displays, but I use all the nooks and crannies and sometimes a book cart parked by the research help desk. I mostly use the lower reference shelving underneath a giant window, which, unfortunately, is in the back of the library, but it’s closest to the main bank of study tables. There is a section within the higher reference shelving I’ve carved out with shifting and weeding. It’s the space I have dubbed Major Idea in which I’ll be displaying books and databases related to a topic or idea within a major offered by the college. First up is psychology. August 18th was the 95th anniversary of the 19th Amendment of the U.S. Constitution. 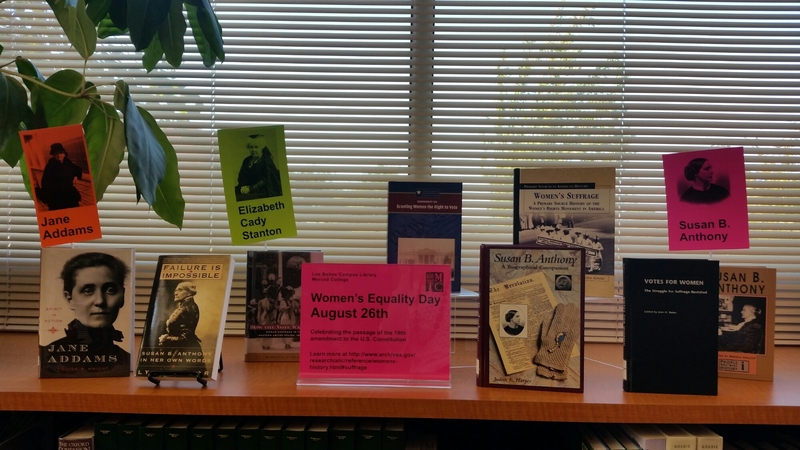 August 26th is Women’s Equality Day, which celebrates the 19th Amendment’s ratification. Since I snapped this photo, I’ve shuffled things around and also added resources about the Voting Rights Act of 1965. The Act banned racial discrimination in elections, which enfranchised more women and men of color, especially in the South. It’s an incomplete story without this bit of history. Here is the online flyer for Women’s Equality Day and the Voting Rights Act of 1965. 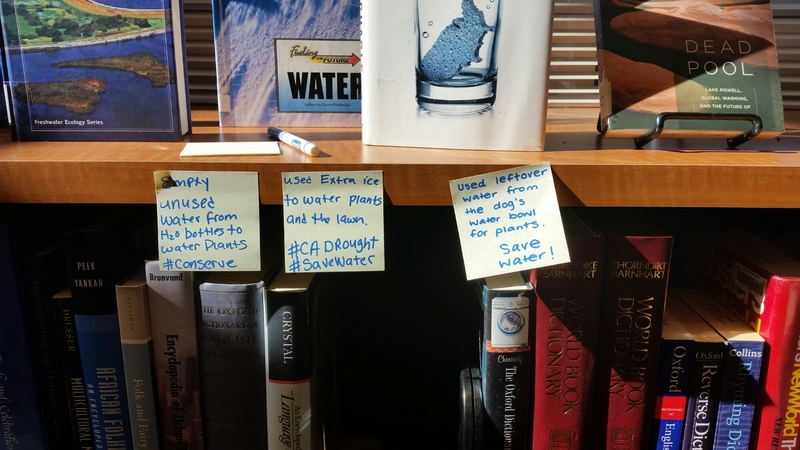 Since we’re in California’s Central Valley, drought has been ever-present the last few years. Both college campuses have brown lawns, and we’re proud! 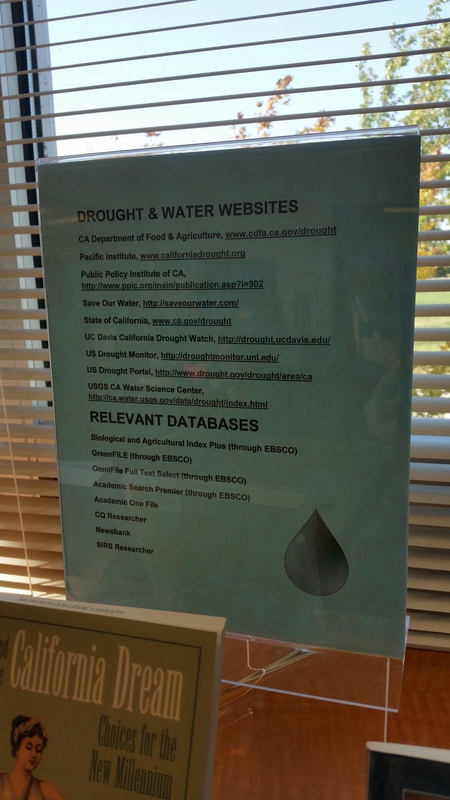 I put up a display about water and drought materials, a quick list of relevant websites and databases, and I incorporated some interactivity by asking how students cut back on water usage this summer. Since it’s in an awkward spot, I didn’t expect more answers beyond my own example on a Post-It, but I was pleasantly surprised. I meant to write something the last few weeks, but I’ve been preoccupied with a summer goal I made in June. This summer, I decided that I needed to get back into fitness. For the last ten years, I have been all over the place when it comes to health, exercise, and eating. There is definitely a reason I don’t follow food through social media or blogs. Ten years ago, when I was a sophomore in college, I decided to change my life. In October 2004, I started eating healthy and went for long walks outdoors with a friend. Then we worked on incorporating jogging, also outdoors. I got to the point where I was running outside twice a day for quite a few miles, and I HAD to exercise. I was addicted. I also started eating less and less over time. By August 2005, I had dropped 67 pounds based on what I weighed the summer before I started college. Who knows? It could have been more, but I knew not to weigh myself prior because I didn’t want to feel discouraged by the number. My mind and body had definitely not caught up with each other. I felt exposed when I went back to school as a junior–my first test in this new body happened when I went to the orientation for my student job. I don’t mean it the way this is going to sound, but I felt like people treated me more nicely. Or maybe I was feeling better about myself and it resonated with others. I was really in trouble with my health by the end of 2005. I was still technically not underweight based on the BMI, but I was too thin and hungry all the time, although I didn’t actually know it was hunger. (I still find it really difficult to say the word anorexia.) Then I started dating someone–my first dating experience–and it was surreal. I finally felt accepted, but I struggled with my self-image and confidence. I was still growing up. I had a difficult spring dealing with things. Summer came. My brother went off to the Army. I made it to the beginning of October before I took a leave of absence for the rest of the semester. It was the right thing to do. The university gave me a year to finish that coursework. I went back to school for the Spring 2007 semester with 10 units, so I could still keep my grants and scholarships to pay for school. Later that spring, I met what would be my husband, and, together, he and I did healthy exercise together, and I learned to eat normally again. I was in pretty good shape for a while, and then I went to graduate school. I was weighing 20 pounds more than my normal. For the last 4 years, I have struggled with 10-15 pounds, and I decided to do something about it. I re-started a regular exercise routine that is more than just cardio. 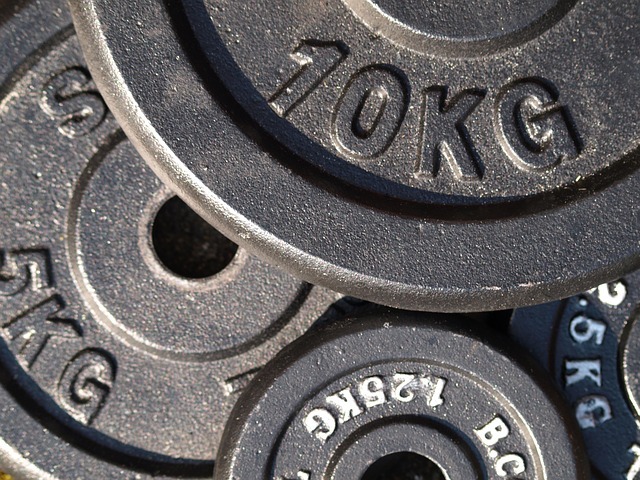 I am working on building my strength with weight training at the gym near my house, and I have, surprisingly, been enjoying it. My goal for this semester Monday-Friday is to continue yoga (I started last summer) on Monday, a little cardio and weights on Tuesday, cardio on Wednesday, and a little cardio and weights again on Friday. I have a very tight schedule with my commute, so it’s going to be a challenge to keep it up. I also plan on walking during my lunch at work. If only I could will myself to get up 30 minutes early to hit the treadmill or neighborhood.